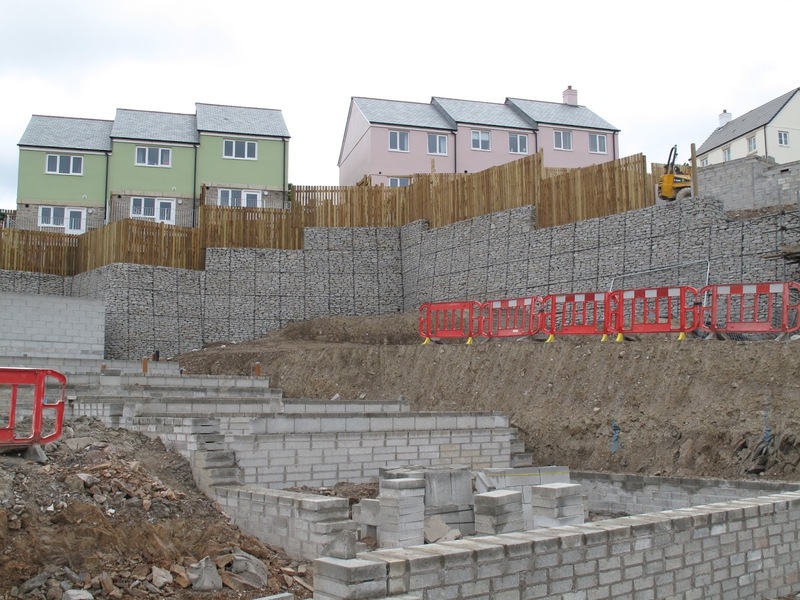 Gabion Retaining Wall: Swanvale, Falmouth - Devoran Garden Gabions Ltd.
Swanvale is a brand new development situated in the beautiful harbour town of Falmouth, Cornwall. Tucked away just behind Bickland Water Road, Swanvale offers a stunning range of 3, 4 & 5 bedroom homes. 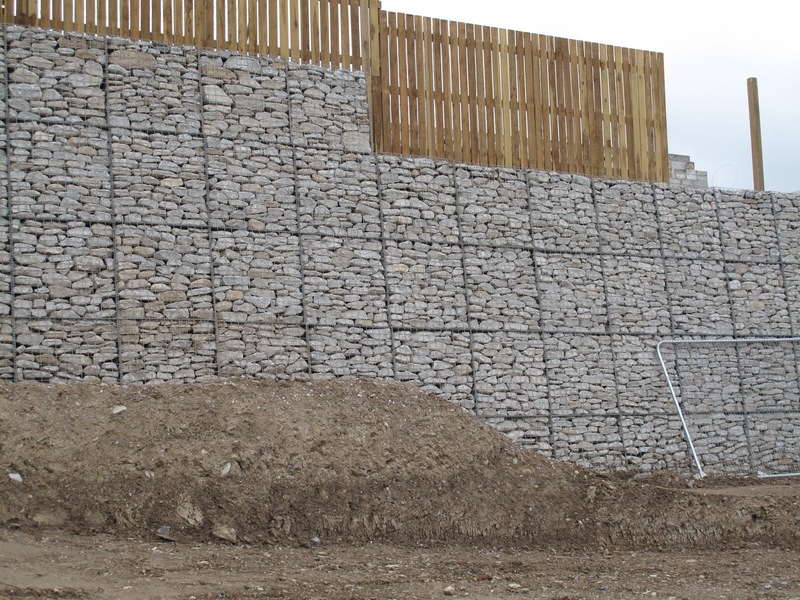 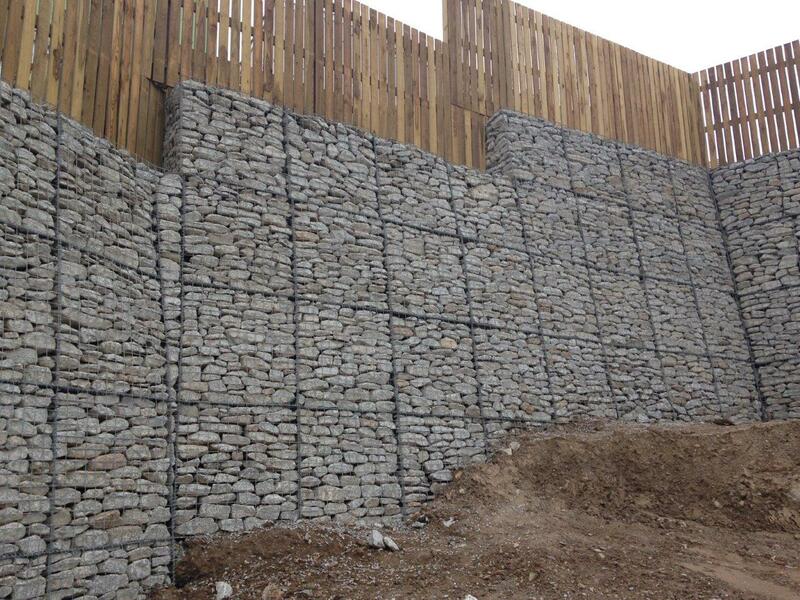 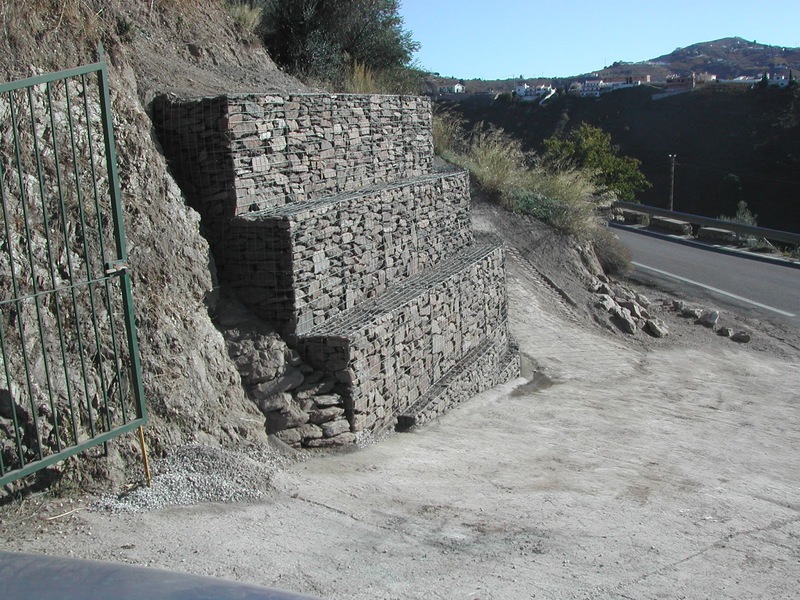 It is also the site of an impressive 4m high staggered gabion retaining wall. 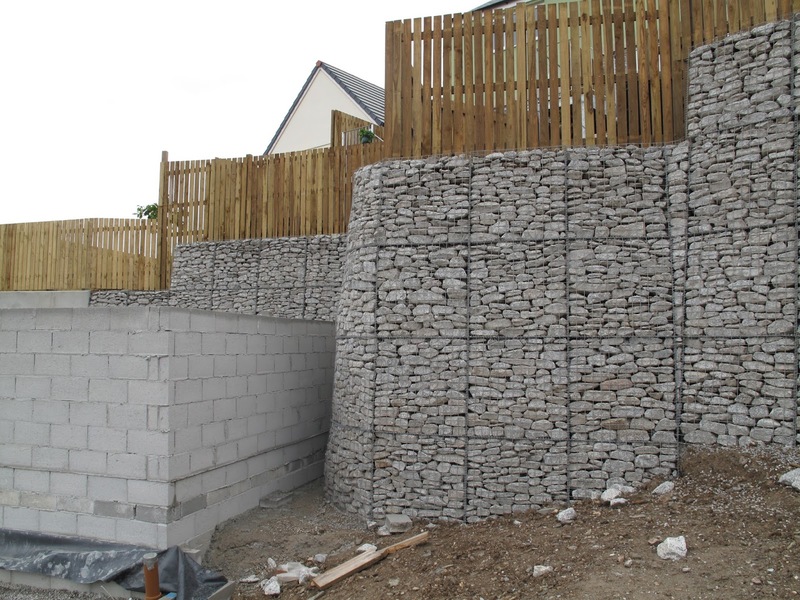 Devoran Metals have supplied over 670 BBA approved gabion baskets to site since the build started in June 2014. 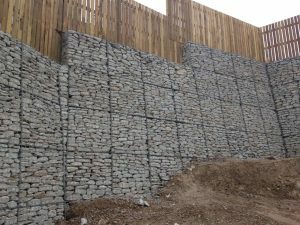 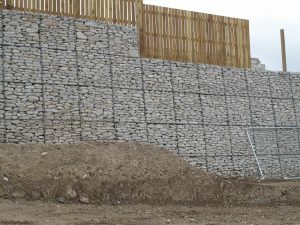 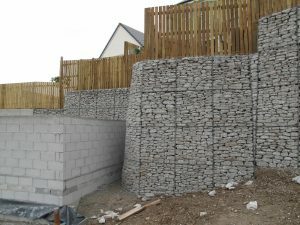 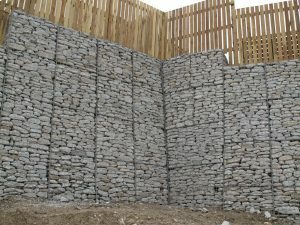 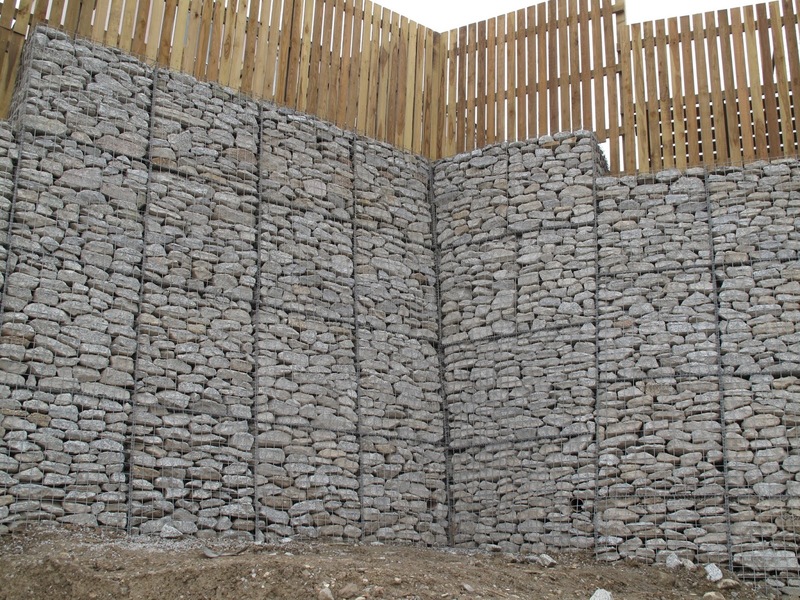 The contractor, Fred Champion Groundworks, have used 3/4mm galfan coated gabions which are comprised of a 3mm carcass and a 4mm facing panel (for a better aesthetic finish), fixed with helical connectors.